You save 23% from the $258 regular price! 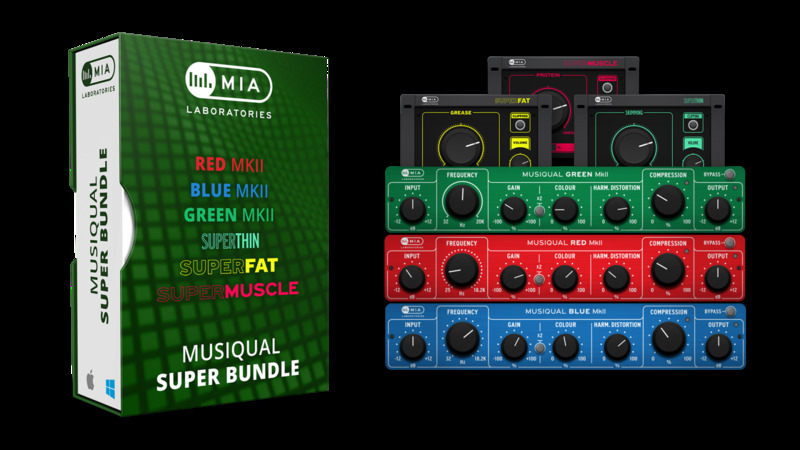 Get the ultimate combination for Class A, Tube and Transistor flavours all in one Bundle! 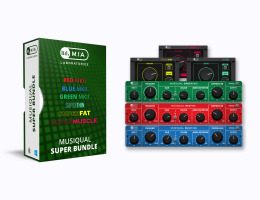 It includes all three Musiqual EQs: Musiqual BLUE SE, Musiqual GREEN SE and Musiqual RED SE, each with their special character. Musiqual GREEN is a semi parametric EQ, delivering a fairly transparent sound with the ‘transistor’ flavour that is so characteristic of analogue technology. 'Colouring' choice is soft and discrete, handing over complete control of the level of 'colouring' to the user. Musiqual GREEN liberates the user by not restricting one into preset bands, therefore leaving them complete access to the full frequency range.